This article first appeared in June 1980 in the publication Mayovox. This first area of Saint Marys’ new $55 million addition has opened and other areas will follow later this summer. The new 640-seat cafeteria opened for hospital staff at the end of last month. The fifth floor medical-surgical area is completed, cleaned and waiting for furnishings. 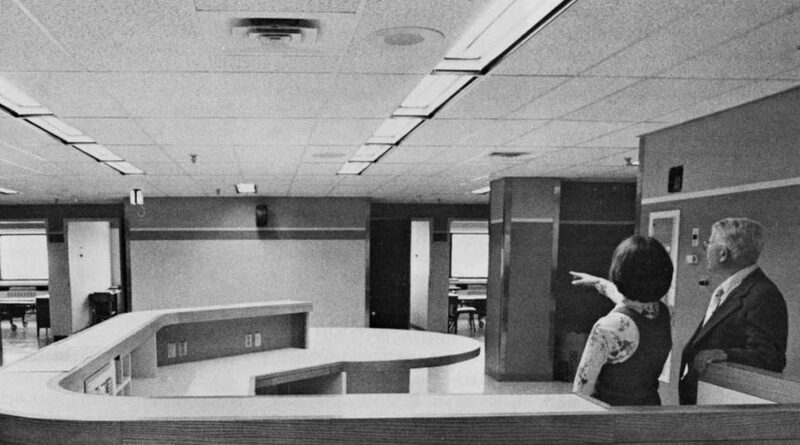 In the photo above, Anne Monroe and Bill Cribbs inspect the new nursing station. Two intensive care units on the fourth floor as well as the rehabilitation and physical medicine area on the third floor also are nearing completion and are in the final stages of inspection and cleaning. Areas expected to be completed in early July and occupied by late summer include Central Service and the storeroom on the ground floor and business offices, admitting, taxi entrance, reception desk and coffee shop on the main floor. In early fall the Rehabilitation and Physical Medicine area should be completed and ready for occupancy. The surgical suite will be completed in July; however, due to the large area to be cleaned and the necessity for Central Service to gain experience in the use of new equipment and procedures to support surgery, occupancy of the suite won’t take place until November. The emergency area will be completed in early September and radiology in December or January. Projected occupation dates for both of these areas have not yet been finalized. 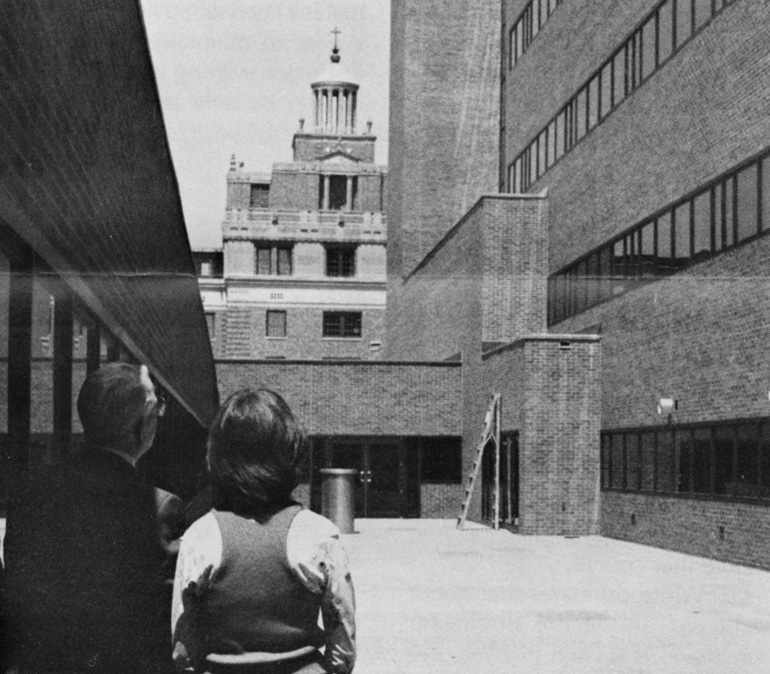 Here is a view from the new addition, looking north toward the original tower section of the Francis Building.